Want to be a trend setter and watch everyone follow your lead in 2012? Take note of these trends early and those around you will see you as a leader in style and in fashion! Talk with your stylist about which look is best for you – your lifestyle and fashion desires. We’re here to help you be all you can be in 2012! 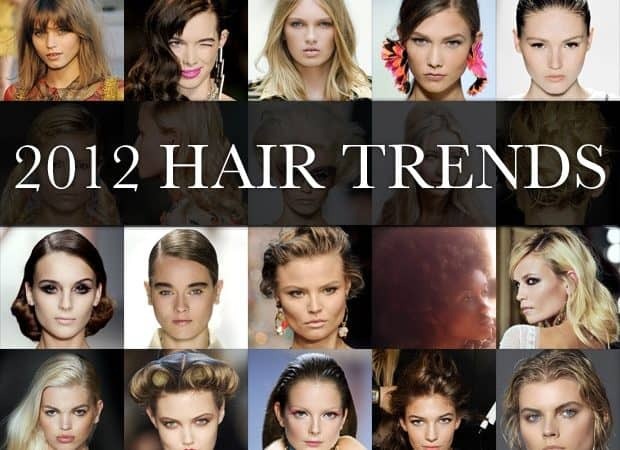 It appears the hottest trends and most popular hairstyles for 2012 will be long hair and hairstyles. Long hair on women will never go out of style, as it accentuates femininity and offers a sense of outward allure. Many celebrities are wearing their hair long again, and you can expect to see the slightly wavy hair parted down the center with long bangs in 2012. Loose, relaxed waves will also be in style in 2012 for medium haircuts. This is a trend that was introduced last year and is oh-so-in right now! You can’t go wrong with a long, relaxed, wavy hairstyle this year. No one will be wearing pin straight short cuts, and straight bangs are over. Loose waves can be done in a few different ways; they can give off a beachy look while being a little messy, or they can be smooth waves with a touch of class. Soft, elegant, cascading waves, will also work well for formal situations such as proms, weddings, and formal events. In 2011 the popular hairstyles included a broad assortment of different short styles. Celebrities such as Jenifer Aniston and Victoria Beckham made the bob cut famous, which was quickly brought back in 2011. The pixie cut was perfectly done by Michelle Williams at the 2011 Oscars, and was a popular hairstyle in 2011 as well. If your life is busy and you need a cut that is low maintenance, consider one of 2011’s short hairstyles. You are still in-style! This year, you will notice many celebrities sporting graceful short cuts. However, women with very curly as well as very thick hair should avoid short cuts – it is nearly impossible to manage and will not be a popular hairstyle in 2012. Super short hairstyles with low maintenance are going out of style; however, easy “wash and wear” styles are coming back in this year. There will be less short hairstyles with spiky pieces, angled pieces, razor cuts and drastically long pieces in the front – sorry, this style is on its way out. For those who want to grab the attention of everyone in the room without having a drastic cut, try coloring your hair with a dramatic change. 2012 is the year to rock your new style! The color trend this year includes the warmer hues such as dark, rich browns, reds, and warmer blonde shades. 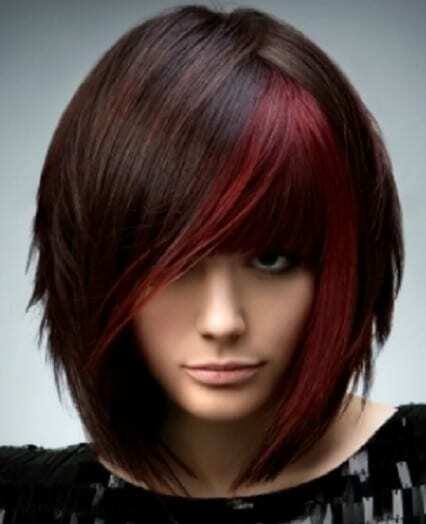 For those daring enough, try a dramatic cut with a trending color for a complete hairstyle makeover! Grab hold of one of these ideas and be a trend-setter in 2012! Ask your Hair Designer their recommendation for you and be on top of the game this year! We are here to keep you cutting edge!